We know robots are strong, but now a new synthetic muscle breakthrough means that one day they’ll be dexterous too, and that means another set of jobs could be automated. This week a group of researchers from the Columbia University announced that they’ve managed to crack the code of developing a new type of synthetic muscle that can be made using a 3D printer, and that the new material is capable of lifting up to 1,000 times its own weight. While that feat alone is an amazing achievement the teams real breakthrough comes from the fact that unlike traditional mechanical muscles, like the ones you see on most, if not all of today’s robots, like the famous Atlas robot, that use pneumatic or hydraulic inflation, this one doesn’t need any external compressors or bulky electronic equipment. And that means that now researchers could not only create smaller, more dexterous, nimble and agile robots, but ones that look more natural too. The synthetic muscle consists of a silicone rubber matrix, which is peppered with microbubbles of ethanol and it’s electrically powered using a low power charge administered via a thin wire. 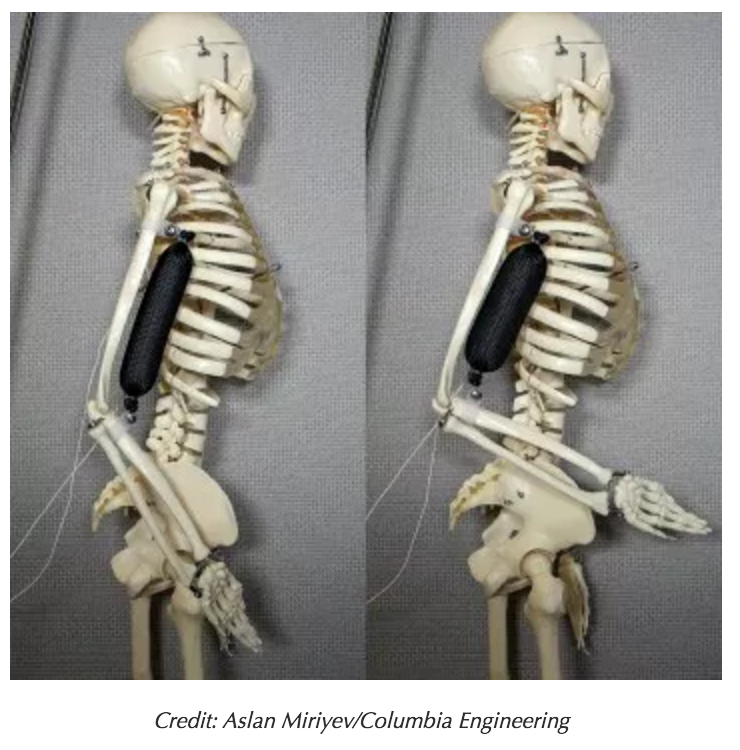 The new synthetic muscle could also be a big boon to soft robots as well where there have been a number of advances made in creating robots that can move and perform an ever expanding variety of actions, and that said, there are still plenty of movements that are still too difficult for rigid robots to perform that could also benefit from the new breakthrough. Actions related to grasping and manipulation require a certain level of finesse and dexterity that current technologies struggle to attain, and this new material could help to create robots that can grip soft objects without damaging them. Similarly, machines built using this technology could also help human workers in situations where delicate movements are required, such as in an operating theatre, and we might even see the material integrated into next generation prosthetics to help users better control their movements and fingers. As for now though, the researchers next step is to replace the wire with an integrated version, for example, one that can draw current wirelessly, that can improve the muscles response times and longevity, and whatever happens next, it now looks like we’re firmly on the path to creating even better robots that will in time will become even more dexterous.